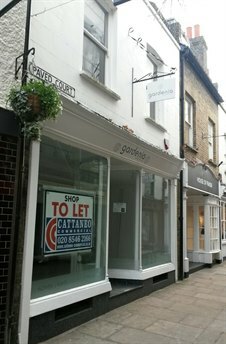 Cattaneo Commercial are pleased to announce the letting of this town centre retail unit situated just off The Green in Richmond. A new lease has been granted to iCandi Jewellery, who will be opening a boutique jewellery shop. Richmond is an affluent South West London riverside town with good train and underground access to central London and there is good demand from occupiers for similar properties so, if you have a property you are thinking of marketing, we would be pleased to discuss the matter with you. Please contact Adam Soliman or David Keates on 020 8546 2166.